Editor's Note: We are thrilled to bring you Joost's race report. Currently hailing from Angola, he got serious about his running only in the last five years and has progressed dramatically to a 2:29 PB at Berlin just recently, at age 49. Nursing an injury he decided to run Berlin in the Nike Zoom Vapor Fly 4% after also evaluating the Nike Zoom Streak 6 and Speed Rival 6. I ran as a child, until the end of 6th grade. Then I took up music more seriously and basically didn’t run again until I was in my 30s. It was more or less an on and off thing, but good intentions were never far away, so after a couple of years of trying, but failing monumentally at rebuilding some sort of running habit, mostly because of too much traveling as a photojournalist, it was in 2012, at the age of 44 that I finally got around to it. Writing an alternative Portuguese language travel guide to Angola, where I now live required me to stay at home for most of the year, at the kitchen table, tapping away on my laptop. So why not run a half marathon, I thought, and started training. I was too late to sign up for one of the Lisbon (where I was living at the time) half marathons, but managed to get into a beautiful 20k along the coastline. Afterwards, I felt like that wasn’t that big of an effort, so I signed up for the Lisbon marathon in December and started training. It was the last one before it became a Rock and Roll marathon, and I finished it in 2:54. Still feeling a little underwhelmed, I took on a 100k in April, finished it, and got myself injured. Since then, I’ve run a number of ultras and some shorter races as well, but unfortunately, there aren’t many opportunities to race in Angola. My marathon times kept getting better as well. I guess there’s something to be said for the benefits of training in tropical heat and humidity. 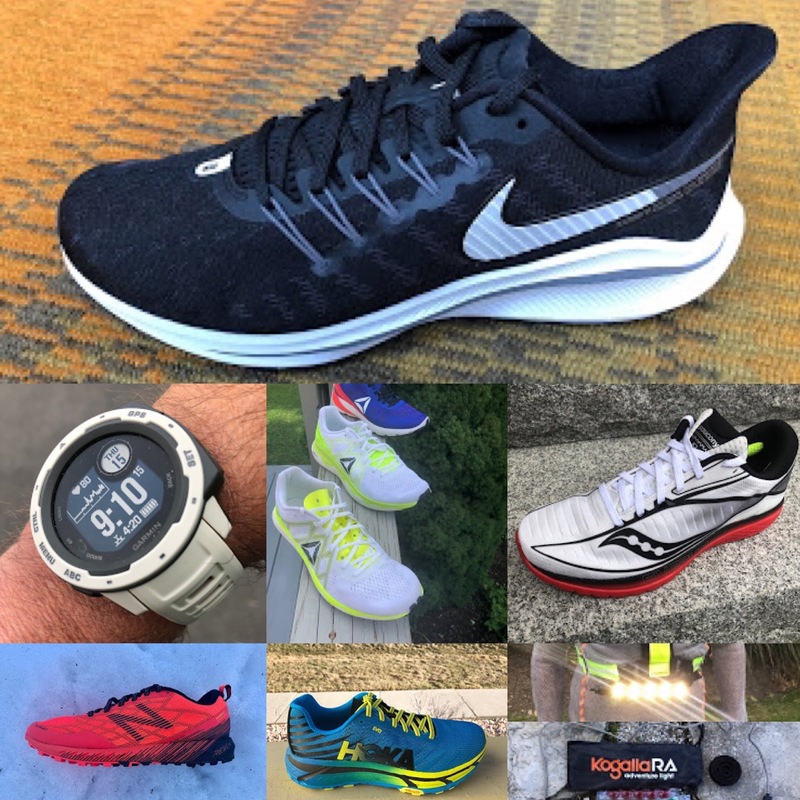 When I started out, I ran in anything I could afford, but when I started training for my first marathon, a friend suggested getting a pair of Pegasus. For the race itself, I bought a pair of Zoom Elite 5, a shoe I still find absolutely fabulous (I still have them, with more than 1100 miles on them). I have run in Adidas Boost, Saucony Ride and a couple of other brands, but mostly stick to Nike. The simple reason is that where I live, it’s impossible to try out and buy most running shoes at a local store. Having them delivered here is a pain, so I rely on friends bringing them over when they go to Europe, or I have them delivered there as well before I travel there. I know what to expect and with the help of a few sites and facebook groups, I waste as little time aspossible sending stuff back because it’s not to my liking. This year’s edition of the Berlin Marathon was meant to be a test for me, to see if I was ready to take on the 6 Majors for top 3 spots over a 3 year period after turning 50 in February 2018. From checking the results of the 6 Majors, I calculated that I had to be able to better my 2016 PB of 2:35:36 a little to be absolutely sure to get at least 3d place. My training was going well, after getting in lots of volume in the beginning of the year, while training for the Two Oceans Marathon (56k/34.8m) in Cape Town. After that, I did an inverse taper, added a couple more weeks of volume (100m/week) and headed into my speed phase (4 weeks of Daniels phase IV 10k) before taking on a slightly modified Daniels final 12 week marathon program. As part of my preparation, and specially living and training in very hot and humid weather most of the year, I wanted to try out something that would give me a better picture of my efforts than heart rate, since that is hugely influenced by the climate. I got myself a Stryd Power Meter, and another reason for getting one was its accuracy for pacing and distance, something my aging Fenix 3 is known to be rather mediocre at. I’m yet to do the Critical Pace test, but the Stryd has been very useful for interval work and for getting an idea of my efficiency. I maintain a training log/spreadsheet, and one for the calculations I do is Efficiency Index (EI), to see if my training is heading in the right direction. I twisted my foot while running in the dark in the middle of the country to avoid an oncoming truck, and didn’t make much of it. Two weeks later, my lower left leg started hurting and during an interval workout, I had to stop and limped home. 6 weeks out from Berlin, I got myself injured. Unconsciously protecting my foot, I’d gotten myself a very small soleus tear and worse, a lot of pain just under my navicular. My arch was swollen and even walking was very painful. A friend lent me a floating device, and in order not to lose too much of the condition I’d built up, I started deep water running. Quite a sight at the hotel pool where I go to the gym. An old Portuguese pro runner (who till this day is the national 15k record holder) turned physio and accupuncturist helped me get back on my feet in about two weeks, but it was still a very painful affair (both the therapy and the running), and I couldn’t really get back into the training program I’d abandoned halfway through. I ran as much as I could handle without my injury getting worse, which meant that I did a couple of split workouts (special blocks as they are also called) to hit a decent distance and intensity target. One example of this was a morning session with a 10k moderate + 10k marathon pace and an evening session of 10k moderate + 10x1k tempo with 1 minute rests. The rest between the morning and evening sessions was enough to be able to finish without the pain getting too bad, and more importantly, it meant I would wake up fine the next morning. I was now facing the question of what shoes to wear for the marathon. Most of my training was done in a combination of Zoom Elite 9 and Flyknit Zoom Streaks. Amsterdam was run in a pair of Zoom Streak 6, a shoe I absolutely love, but being very unforgiving, I was afraid the final 10k of the marathon would be too painful. 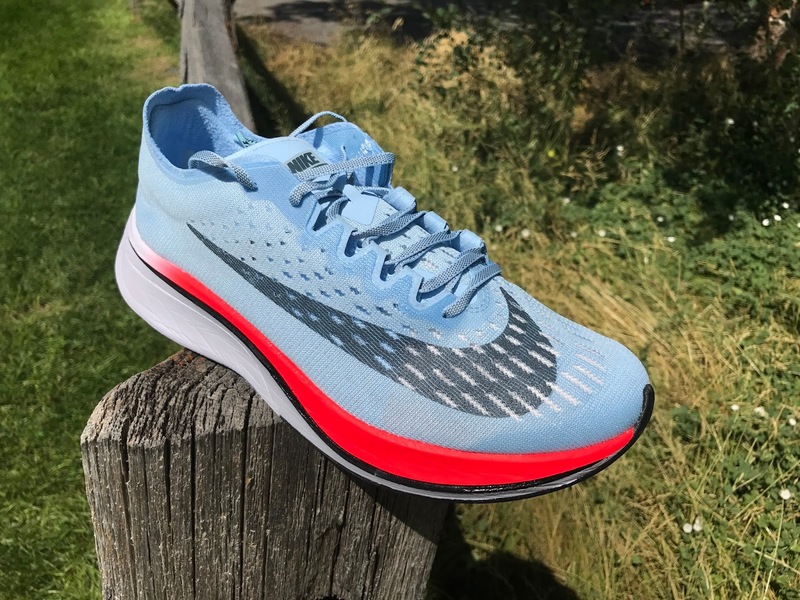 Reading a little more, I ordered a pair of Speed Rival 6 from Running Warehouse to be in Europe upon my arrival, and I was also lucky enough to get my hands on a pair of Vaporfly 4% at the time of Nike Europe’s restock of the shoe. So now I had four pairs of shoes to pick from, also counting with the delightful Zoom Elite 9. After arriving in Europe, two weeks out from Berlin, I first tested out the Speed Rival. They looked kind of “baggy” on my feet, but felt great, and most importantly, my feet didn’t hurt after a 15k training run. But I also felt they weren’t quite as fast and snappy as my Streaks. To me they feel like a more “dampened” Streak. Next up, the Vaporfly 4%. I kept them in the box all the way until a week before the race and then did a 90 minute run in them and covered nearly 25k (15.5 miles) without much effort and very little pain. 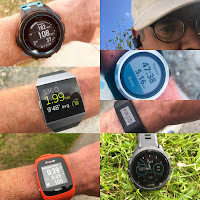 They felt very mushy on walking and kind of weird for the first km or so because of the strange combination of cushioning and firmness, but after a while, I could just run, without paying much attention to them. Only on downhills they remained odd, probably because I normally land on the outside of my mid foot, but going downhill the heel touches base first. The next day, I took out the Flyknit Streaks for a slightly shorter run of around 70 minutes at the same pace, and they felt every bit as snappy as I remembered, with just a bit of pain at the end. It was down to 2 pairs of shoes, and since my booking only allowed hand luggage, I wore the Streaks and put the Vaporfly 4% in my backpack (I’d done a second run of 4x1200m on Wednesday in them). My mind was more or less made up, and on my 30 minute pre-race-day run and on the day itself, I wore my Vaporflies. The weather was bad (at least that’s the argument Kipchoge used for not breaking the world record). It rained for the first hour or so and it was chilly. The rubber on the Vaporfly outsole was fantastic. Grip was fantastic, and I didn’t feel like I would slip, even in the very few tight curves on the course. The upper of the shoe is fabulous. It fits just right, without any pressure points anywhere on the foot, and I specially like the heel. My Achilles’ are a bit sore most of the time, and shoes with too much stuffing or a heel counter that leans too much forward make things worse. Not in the Vaporfly. They fit me true to size, and with the right amount of tightening, there was no slippage whatsoever. While on the subject of tightening, the laces are also great. Being a little ribbed helps to keep them tight, something that’s sometimes an issue with the very long and very slippery Zoom Elite 9 laces. The midsole is a little mushy on walking around with the shoe, but when you run in them, that feeling quickly disappears. During the whole marathon, I actually thought very little about the shoes. Strange as it might sound for this type of shoe with lots of cushioning, while being very stiff at the same time, it’s maybe the first one I ever wore during a marathon that truly “disappeared” while running. I could just concentrate on not overdoing the first half, keeping my breathing and effort in check, being mindful of any sign of lack of energy that I might feel. My stride felt relaxed and powerful at the same time, kicking back my legs and letting my glutes do most of the work. I only felt the mushiness again after crossing the finish line and walking again. My foot hurt most of the way back to the hotel, but was fine after showering and relaxing with a well deserved beer and some food. For marathons, I just eat 2 or 3 bananas between getting up and starting the race, and then just hit the isotonic drinks at the stations. No gels for me. Official time: 2:29:03, 2nd in the 45-50 age group, 102nd overall, a PB at 49. I feel ready to take on my challenge of running the majors (If I can get into London, because their ballot system hasn’t worked for me, they don’t have Good For Age entries for foreigners, and the charities are just too expensive for my budget) starting next year, and maybe getting into the age group marathon rankings. How much I have to thank the Vaporfly for, I really don’t know, but it definitely helped me in running pain free for 26.2 miles, and feeling fresh the next day, except for a little pain under the metatarsal head of my middle left toe and a sore right glute. Not even the calf pain some people complain about. As far as the shoes are concerned. They looked pretty dirty after the race, and you can see some wear on the left sole (I probably still strike a little further back on that foot because of the injury), but I can probably get a couple more marathons out of them before they break down. Bloody expensive, but worth it! The VaporFly was a personal purchase. The opinions herein are entirely the author's. That is an incredible story, thanks for sharing. 2:29 and you still ended up 2nd? 1st must not have been a day over 45 ;). You give us old guys hope. Well done Joost, what amazing result.